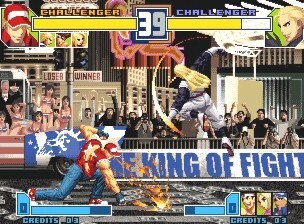 STORY: "An entire city was wiped off the globe with the use of the satellite weapon, Zero Cannon, during King of Fighters 2000. 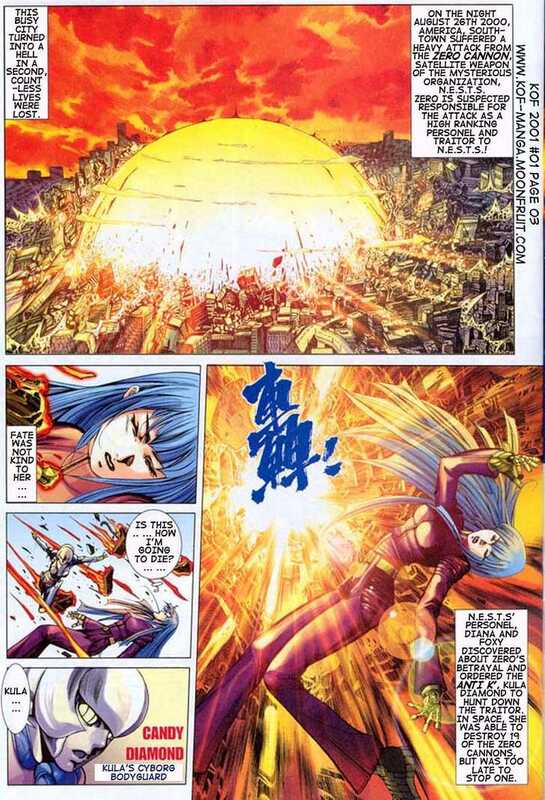 This incident was reported to be the result of an artificial satellite crashing to earth, and adorned the front pages to various newspapers of countries all over the world. 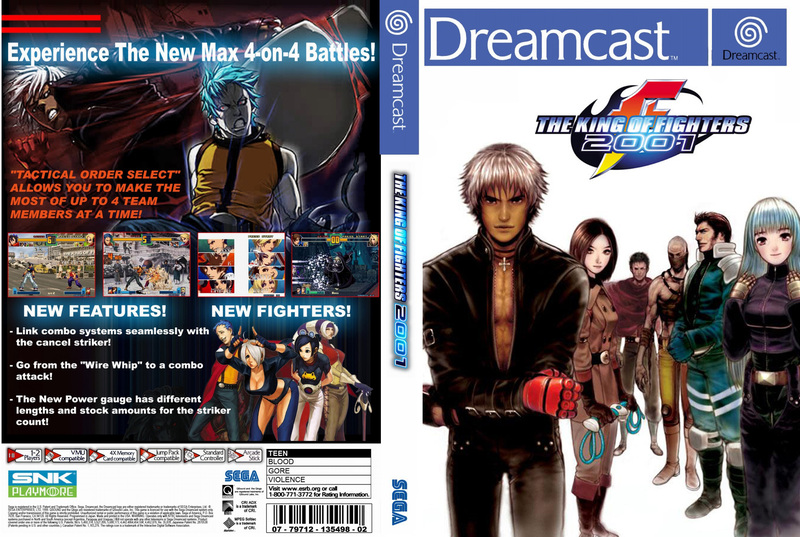 A legion of individuals called for the end to the KOF tournament which always invited some sort of accident, but ironically this fighting tournament with a bad history once again regained considerable popularity. 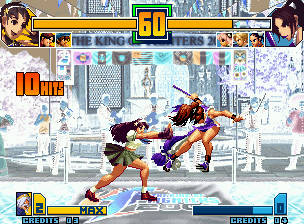 The interest in the tournament rivaled that of the '97 contest, nay, exceeded perhaps exceeded it. But for this tournament carried out on the international stage, an astonishing fact came to light. A team from NESTS has entered the tournament! What are the true objectives of the event's sponsor? 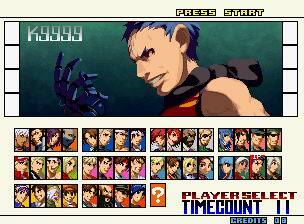 There's no guarantee that even with this tournament, tragedy will not repeat itself.... 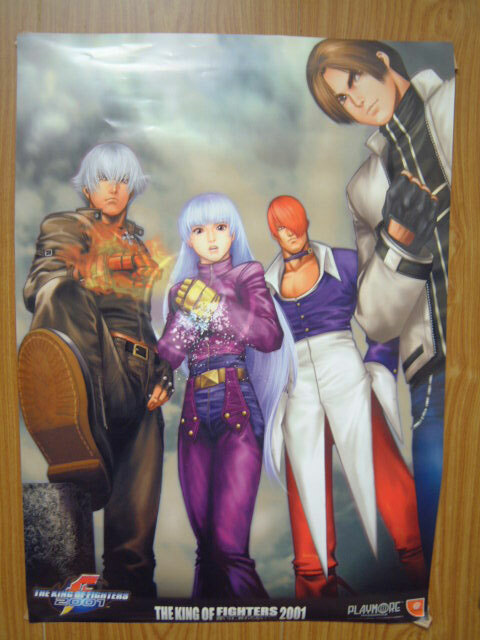 The third title in the King of Fighters: The NESTS Chronicles. 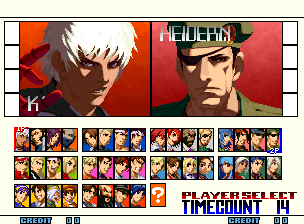 At last, this tournament will end it all! 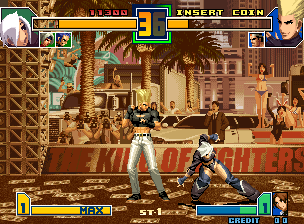 The NESTS cartel decides to host the 2001 KOF tournament so that they can use it as a method to eliminate their enemies and enter their own team into the ranks. 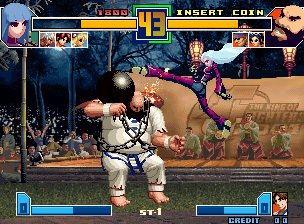 In the tournament finals, the Hero Team boards a special blimp that is soon revealed to be a spaceship. 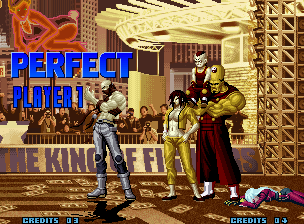 There they meet Original Zero, whose clone decimated the cartels' secrecy with his scheme in the previous year. He congratulates them for reaching the finals and states that they're headed for NESTS's real headquarters. 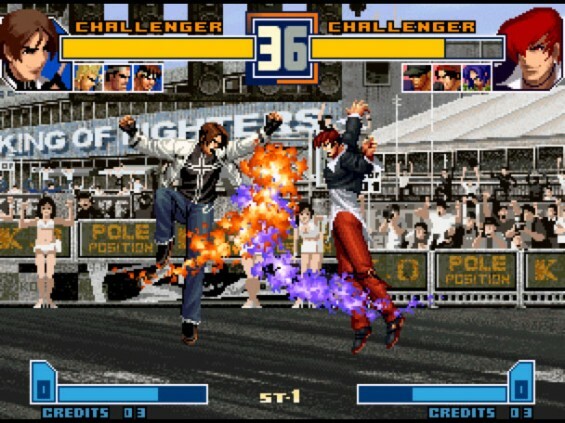 He decides to entertain his passengers with a match and is backed up by his pet black lion Glugan, Ron, and Krizalid. 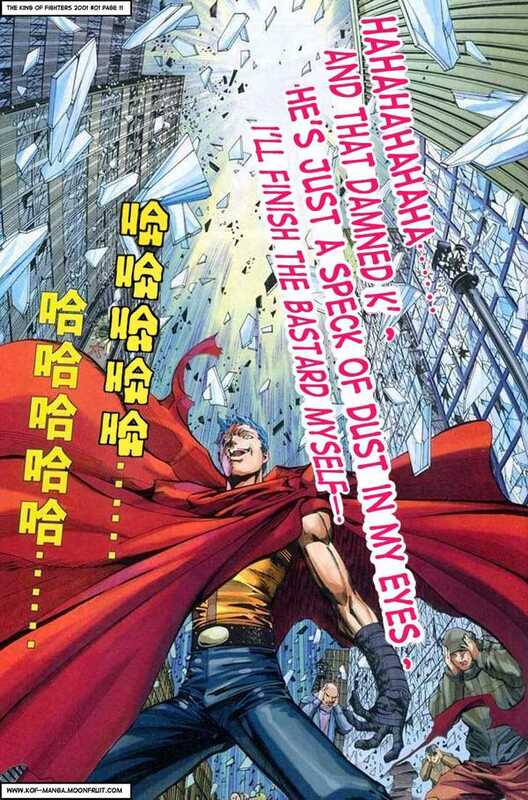 Despite the oppressive force of his group, he is defeated moments before the ship docks at NESTS's space satellite. 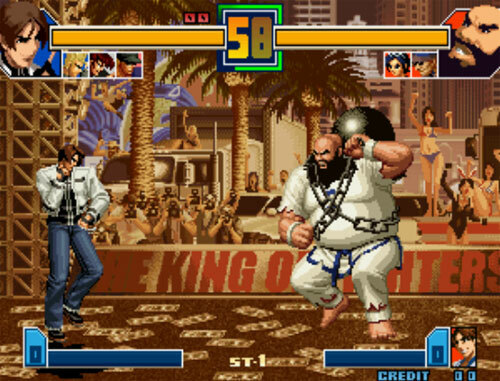 He stays on board the exploding ship and urges the Hero team to proceed forward. Once inside NESTS's satellite, they face the NESTS leader, Nests. 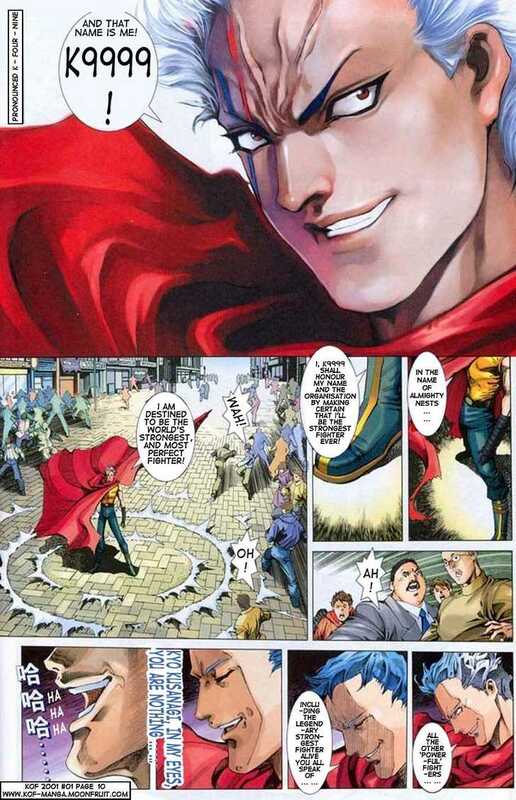 He expresses wishes for his renegade agents to return to the organization and is soon afterward killed by Igniz, who claims ownership of the cartel. 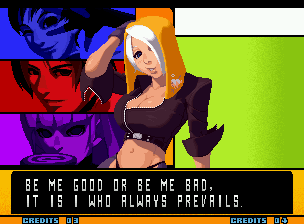 Igniz also reveals that K', Kula, Krizalid, K9999 and Whip are guinea pigs/creations made for his own personal entertainment. 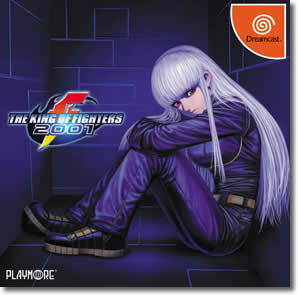 Kula, who was separated from the rest of her team and present at the time, also heard her origin as an artificial life form. 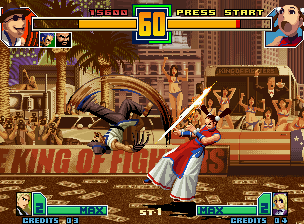 Declaring himself a god, he assaults the team as his first act of "divine retribution". 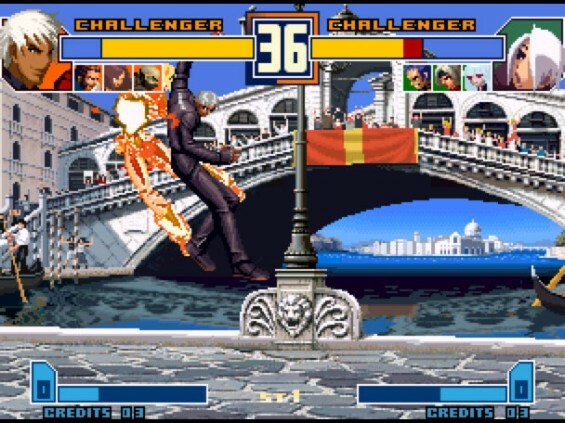 When he's defeated, he proclaims that he is fallen god and names himself a "demon" instead. 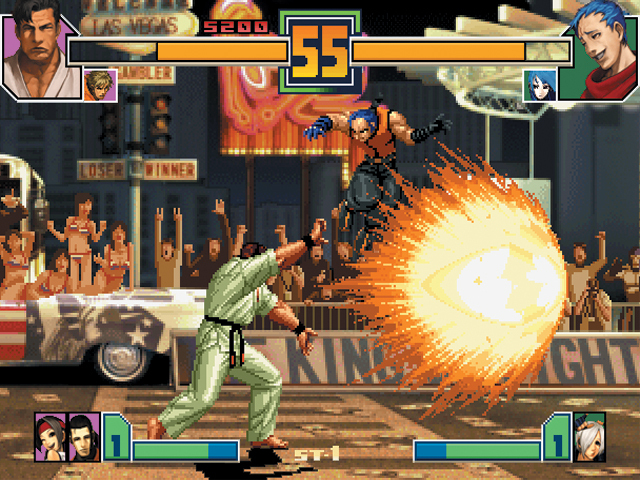 He plunges the satellite through earth's atmosphere in an attempt to demolish his competition. Thankfully, the satellite crashes into the ocean and the fighters aboard were somehow saved from the explosion, presumably thanks to Ron. 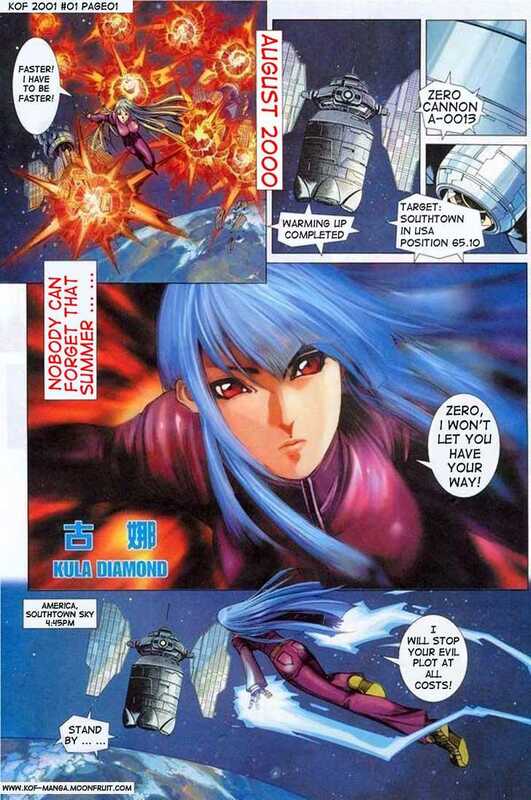 K' saves Kula from drowning; in gratitude, she and her guardian, Diana, ally themselves with K' and company. 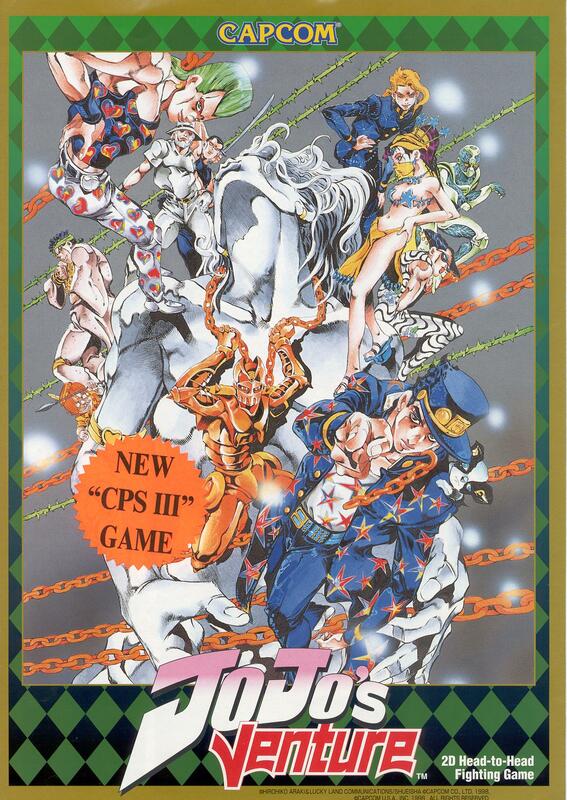 K9999 and Angel are presumably still alive though their exact whereabouts are unknown. 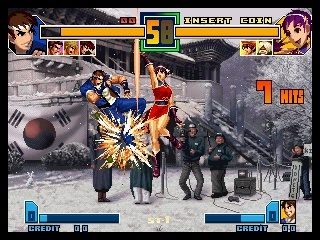 Foxy is also stabbed by them though her apparent on screen death is later revealed to be false. 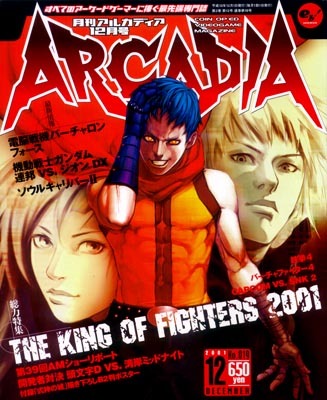 If you've ever seen the anime movie Akira... you'll notice that K9999 is a total Tetsuo rip-off. 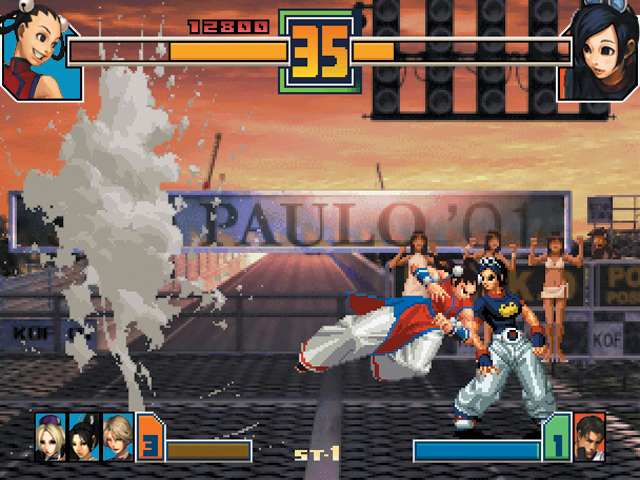 REVIEW: The eighth installment to the King of Fighters series was the first game in the series to be produced following the closure of the original SNK. 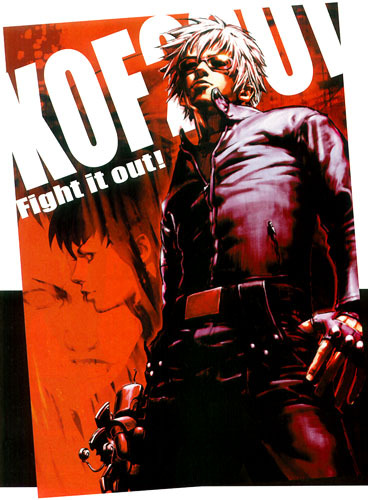 The game was produced by the Korean-based company Eolith and developed by BreezzaSoft, made up of former SNK employees. Athena cut her hair?!? Nooooooooo! 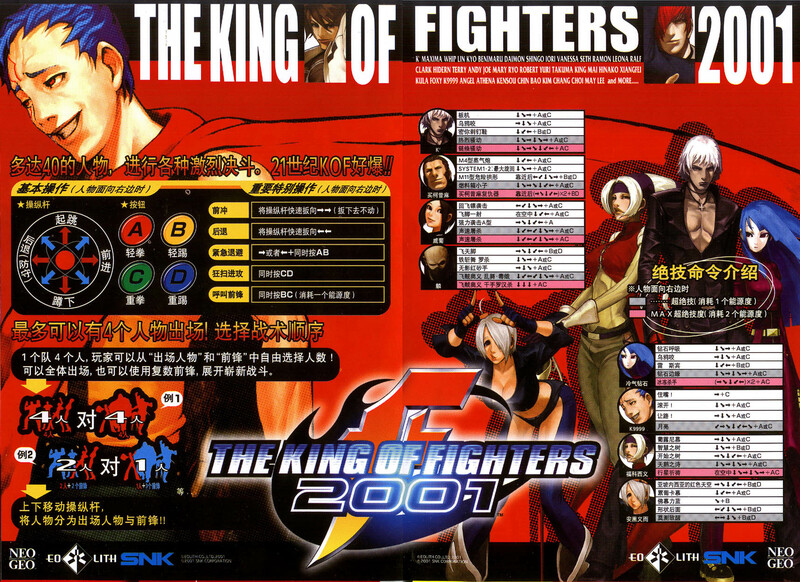 Like in the prequel, KOF 2001 lets players create a team of four fighters. 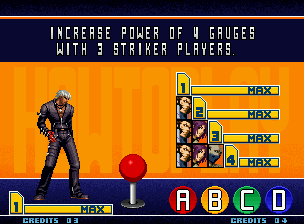 Instead of the "three fighters and one striker" format from KOF 2000, this installment introduces the Tactical Order System. 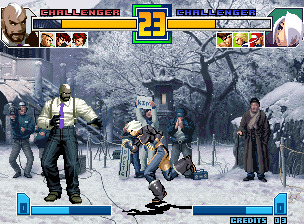 This allows the player to select which characters will they control in combat, and which characters will serve as strikers before each match. 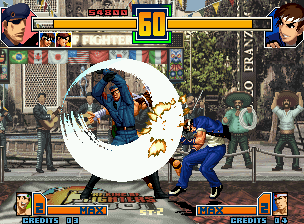 For example, the player has the choice to form a team of four fighters and no strikers, or even one fighter and three strikers. 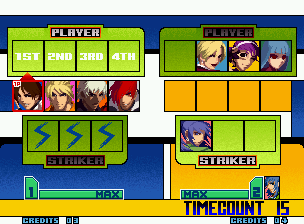 The number of strikers on the players team will also affect the length and number of stocks of the their Power Gauge. 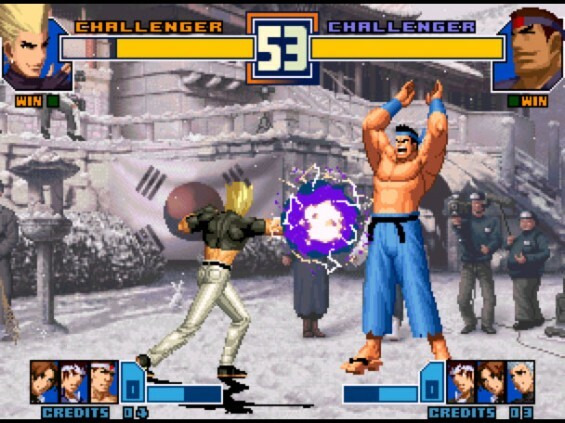 Personally, I wasn't a big fan of this new system... but it was an "interesting" new way to play KOF. 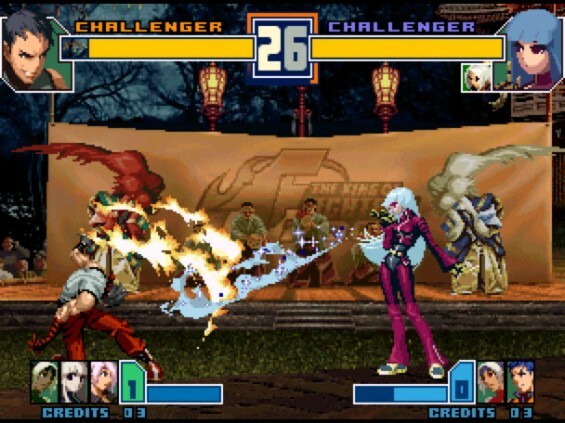 A classic battle of fire VS Ice. 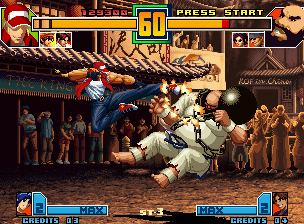 Along with the updated gameplay mechanics, like always, some new faces join the KOF roster, including: Foxy (previously Kula's striker from KOF2000), K9999 (who appears to be based on Tetsuo from Akira), and Angel (a NESTS agent who fights using flashy kicks and wrestling moves). 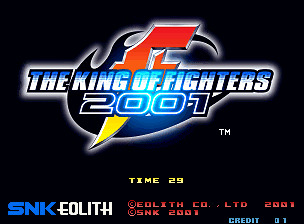 Along with all new backgrounds, KOF 2001 hosts a pretty decent soundtrack... there were some catchy tunes in this game. 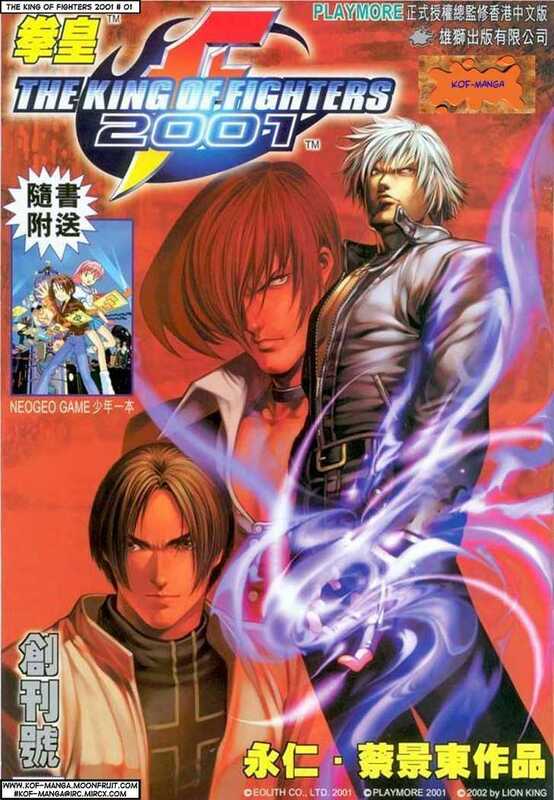 Overall, I was disappointed with 2001... and honestly got bored with it rather fast. 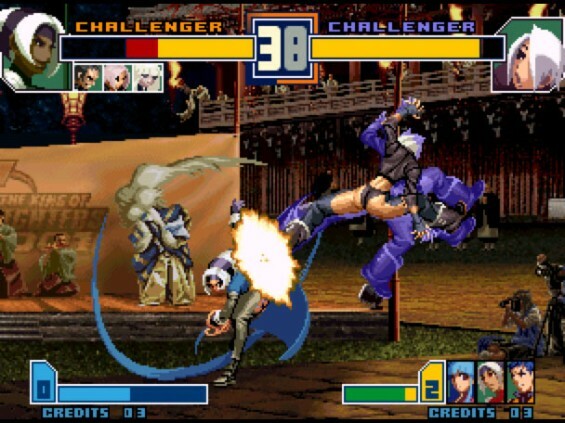 Of course there were a ton of other awesome fighting games I was playing in 2001-2002 (quite possibly contributing to my boredom with the game), but as an old school KOF player, I gave KOF 2001 a fair shake (the first week it came out, actually).